Also see The Borgias Cast page at The Borgias Wiki for more photos and details. SHOWTIME has cast English actress Joanne Whalley as the female lead in its Renaissance crime drama The Borgias. Whalley will play Vanossa, mother of the Borgia children who were fathered by Rodrigo Borgia (Jeremy Irons) before he became one of history’s most infamous popes. Vanossa once was a courtesan with a disreputable past. British actress Holliday Grainger has leapfrogged over star names to take the part of Lucrezia Borgia. The 21-year-old Mancunian will play opposite Jeremy Irons and Derek Jacobi in the ten-part series The Borgias, which starts shooting in Budapest in July. Some episodes will be directed by Neil Jordan, who also wrote the screenplay. Years ago, he wanted to make a big-screen version. Executives for the U.S. cable channel Showtime met with other actresses in Los Angeles, New York, London, Paris and Rome and screen-tested scores of young women – some of them big-name stars – before they decided Holliday was their ‘chosen one’. Lucrezia is a star-making part. She was supposedly the most vilified woman in history. One Italian historian called her ‘the greatest whore there ever was’ and a femme fatale of the highest order. Others assert she was unfairly pilloried, perhaps for the sins of her father and brothers. 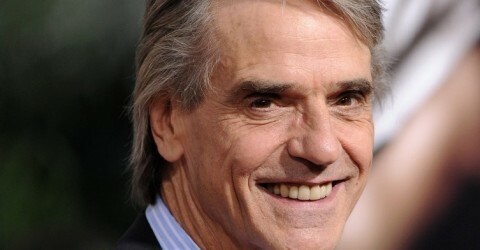 Jeremy Irons will play Lucrezia’s father Rodrigo Borgia (who later became Pope Alexander VI). Francois Arnaud has been cast as Lucrezia’s brother Cesare Borgia, while Colm Feore will be Cardinal Giuliano della Rovere, who later became Pope Julius II. Actor Sir Derek Jacobi will play Cardinal Orsini in the first two episodes. Jacobi’s previous film credits include Henry V, Gladiator, Gosford Park and The Golden Compass. Francis Ford Coppola modeled the storyline of Godfather III on the Borgias, and found their ruthlessness and Machiavellian scheming translated perfectly to his 20th-century tale about the Mafia. Ruta Gedmintas (“The Tudors”) has been cast as Ursula in the Showtime series “The Borgias,” opposite Jeremy Irons. The APA- and United Agents-repped actress will play a young abused wife who falls in love with the Irons character’s son. Luke Pasqualino, best known as Freddie from Series 3 & 4 of Skins, has also joined The Borgias cast. Dutch star Lotte Verbeek has been cast in The Borgias.Verbeek will play Giulia Farnese, the young mistress of Rodrigo Borgia (Irons). Farnese was famed for her beauty and several 15th century masters are thought to have used her for inspiration, including Raphael in his portrait “Young Woman With Unicorn.” Verbeek is currently on set of The Borgias in Budapest. The 28-year-old actress won the best actress prize at Locarno last year for starring turn opposite Stephen Rea in Urszula Antoniak’s “Nothing Personal” and was one of the talents picked as a European Shooting Star at the Berlin Film Festival in February. But Verbeek’s London agent Jeremy Conway told THR he pitched Verbeek on the basis of her striking resemblance to portraits of the real-life Farnese. EMMANUELLE CHRIQUI TO GUEST STAR IN NEW EPIC DRAMA SERIES, PREMIERING IN SPRING 2011 ON SHOWTIME® LOS ANGELES, CA – (September 22, 2010) – Emmanuelle Chriqui (Entourage) will guest star on the new SHOWTIME drama series THE BORGIAS in three episodes as “Sancia,” the beautiful and seductive Neapolitan princess who marries the Pope’s youngest son Joffre (Aidan Alexander), even though she has her eye on another Borgia brother. 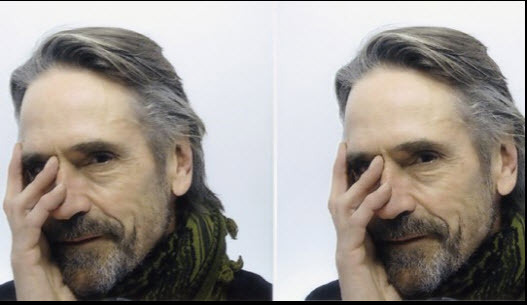 The series is headlined by Academy Award® winner Jeremy Irons and is currently shooting in Budapest for a Spring 2011 premiere. AIDAN ALEXANDER is from Bournemouth, England and has previously appeared in a Nestle Wholegrain Cereal commercial; the short film The Time Traveller, directed by Tom Cliffe; the short film The Run, directed by Tristan Casey and has appeared in the musical Footprints of Africa at the Lighthouse Theatre in Poole, England. He is represented by Abacus Agency and the Elliott Brown Agency.